Stanford, Calif. • Sara Hamson gets it from her mom. The BYU sophomore post stands 6-foot-7 and is a key factor for the Cougars as they head into Monday’s NCAA second round game against host Stanford. No, it comes from mom. Tressa Spaulding is a legend at BYU. Go through the women’s basketball record book and she’s all over the place. Most blocked shots in a career: 494. Most blocked shots in a season: 144 in 1984-85, and her four years are the top four totals in school history. Most blocked shots in a game: Tressa holds the top five spots with a best of 11. Career field goal percentage: .609, first all-time. She led Division I in scoring in 1986-87 with an average of 28.9 points per game, scored 50 and 47 in a game to rank tied second and fourth in school history, ranks third in career points (2,309) and second in rebounds (980) at BYU and … you get the idea. 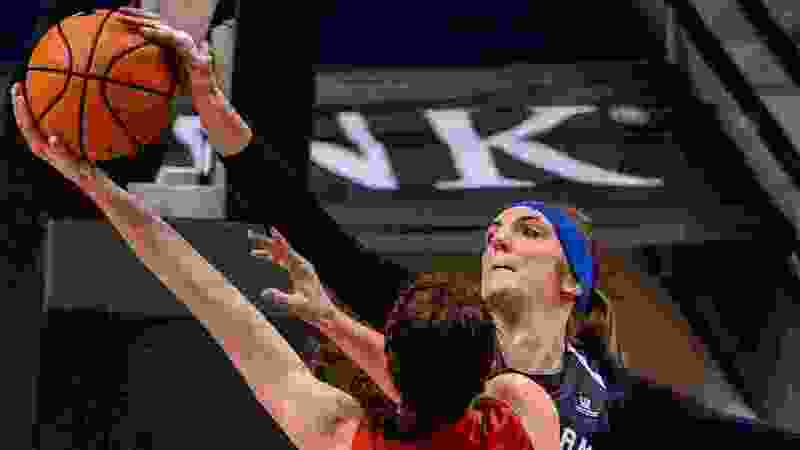 Older daughter Jennifer Hamson was almost as good, playing four years of volleyball and basketball at BYU, ranking third all-time in rebounds (965) and second in blocked shots (340), right behind mom in both categories. She grabbed 404 rebounds in 2013-14 for second in school history, two spots ahead of Spaulding. And she finished her career with a .555 field goal percentage, third all-time at the school. Jennifer Hamson played two seasons for the Los Angeles Stars and the Indiana Fever in the WNBA and is now playing professional volleyball in Germany. Most importantly, when Jennifer Hamson was at BYU, she helped lead the Cougars to the Sweet 16 of the NCAA tournament in 2013-14. That’s the goal Sara Hamson and her teammates will attempt to achieve on Monday. To get there, Hamson will be a key, having to go up against posts Alanna Smith and Maya Dodson. BYU coach Jeff Judkins called Smith one of the best players in America. In a 73-64 win over Auburn in the first round, Hamson scored four points and grabbed eight rebounds. She showed her development on offense, running several nice screen and rolls with the Cougars guards. However, she missed two shots off the plays and needs more consistency. Hamson suffered a torn meniscus in August playing volleyball and has now given up that sport to concentrate on basketball. Judkins said she has gotten better and better as the season has gone along.